The Eastern Transport Coalition last week applauded the Victorian Auditor-General’s report which called for better coordination of Melbourne’s public transport network. In the report, Coordinating Public Transport, Auditor-General John Doyle said public transport services are poorly coordinated, and progress to improve this has been slow. He also noted the deficiencies in the network have been identified in previous public transport audits over the past few years, but that action has been slow. “It’s such a shame because the system could be so much better. This is what commuters have been telling us and I expect we will hear more through our Better Buses survey which is currently underway,” Cr Lockwood said. “The Auditor General has urged Public Transport Victoria to accelerate efforts to finalise plans for metropolitan trams and buses and regional transport services, and to develop measures that will assist co-ordination of services across different public transport modes. “The ETC would urge the same. PTV has a Network Development Plan for trains but there is none for buses and there won't be until at least the end of the year. Cr Lockwood said both the government and opposition needed to show their plans for improving bus services and a comprehensive plan that co-ordinated the entire network. “Fixing Melbourne’s public transport problems will take money, effort, better performance monitoring and in some cases, brave action. 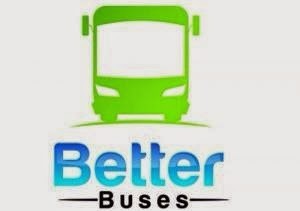 It needs to start with a coordinated plan for improving all public transport across the state,” Cr Lockwood said. To take part in the Commuters Count Better Buses survey, go to the ETC website.